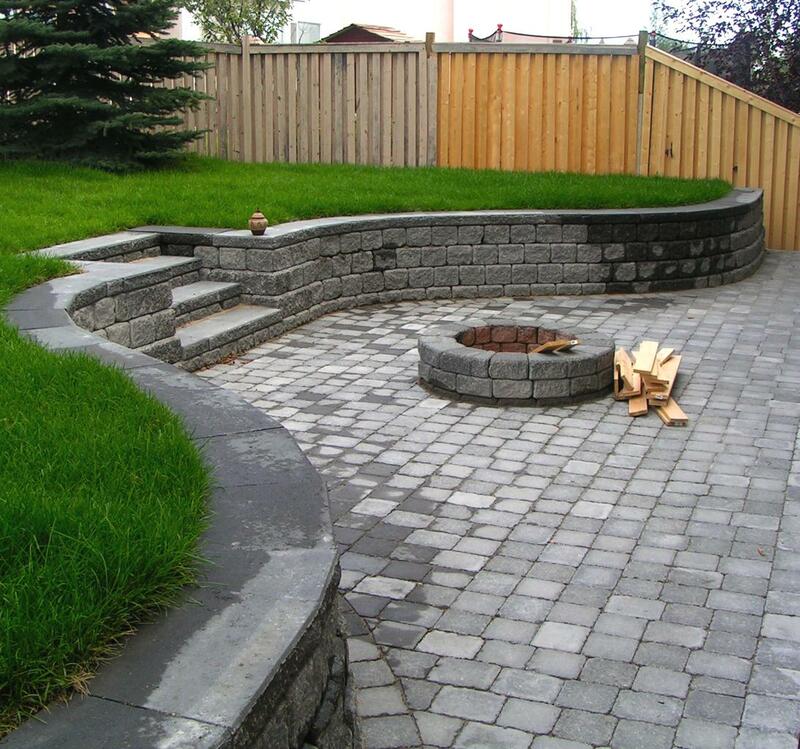 A retaining wall is a structure constructed to withstand lateral pressure and to hold back earth, loose rock or similar materials. Speaking from a landscaping standpoint, this translates to: if you have a slope in your yard, and you would like to create a flat, usable, structurally sound space, then a retaining wall is a must! 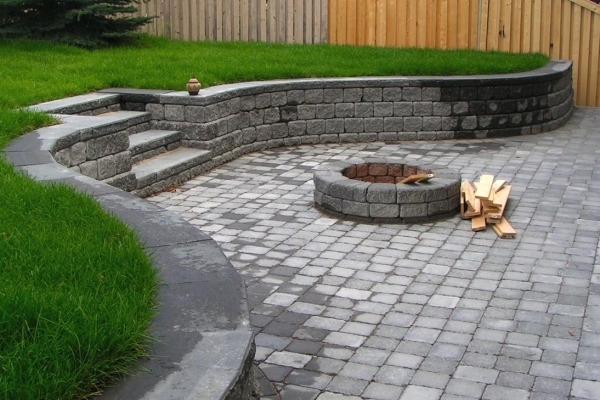 However, a retaining wall can also be used in such a way to create an impressionable design element that can add character and texture to your landscape, such as a raised garden bed. 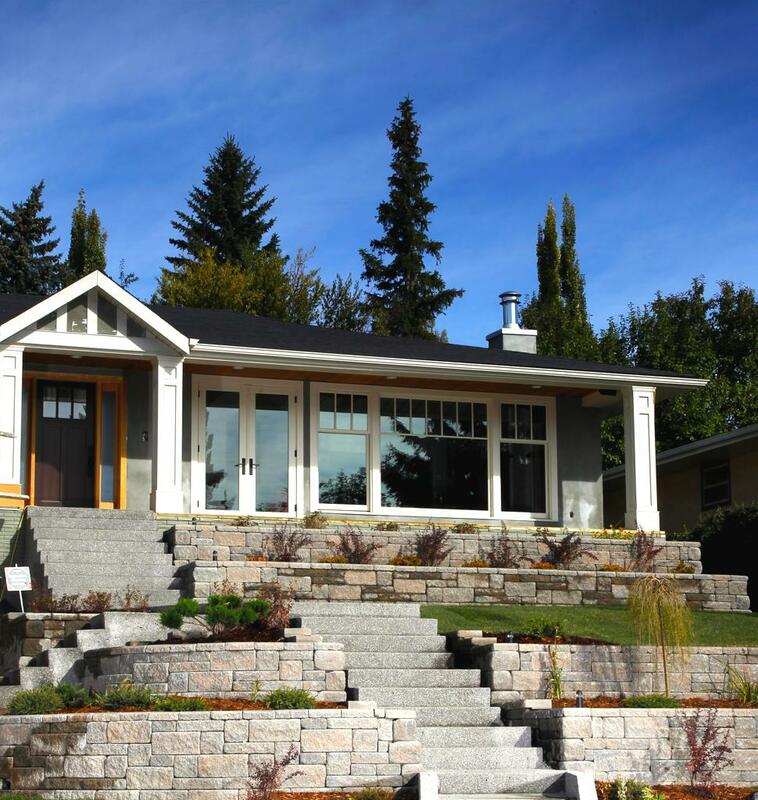 Size – Before coming up with a design for your new retaining wall, make sure to check the building codes and bylaws in your municipality for size restrictions and regulations. Currently, in the City of Calgary, you do not need a permit for a retaining wall or planter that is under 1.2m in height. 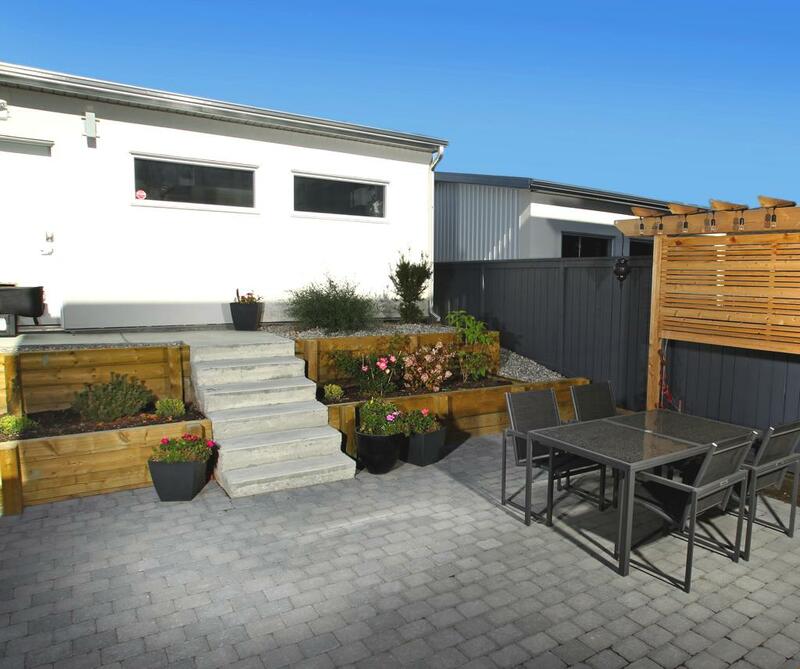 Materials – From allan block, to stackstone, to wood, to rocks, there are a multitude of retaining wall products available, so when choosing which product to use, it really comes down to budget, personal preference and what style best compliments your property. 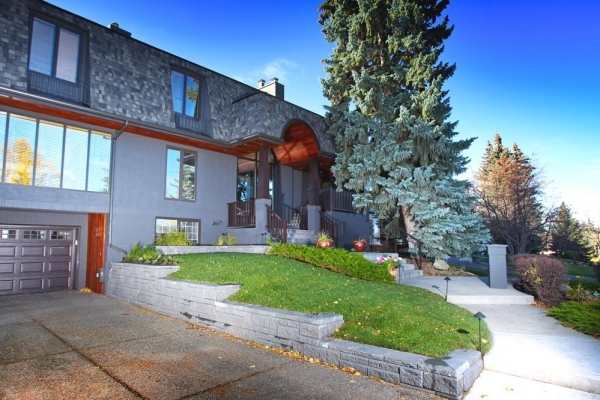 For example, if your home has some masonry features, then an ironstone or rundle stone stacked boulder wall may be a good choice, as it will enhance the natural stone element in the space. Terracing – Tiered or terraced retaining walls can tame unusable hillsides, control erosion and provide an aesthetic slope transition. 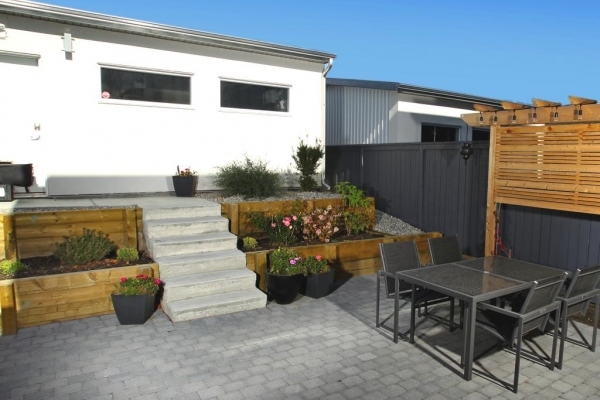 It’s the perfect way to create a number of functional spaces within your landscape. 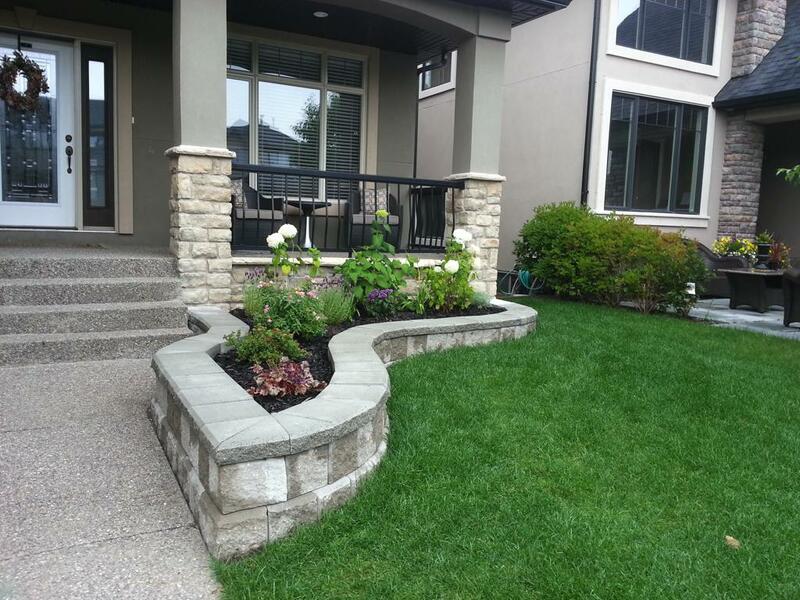 Extras – Take your retaining wall project to the next level by incorporating some extra elements. 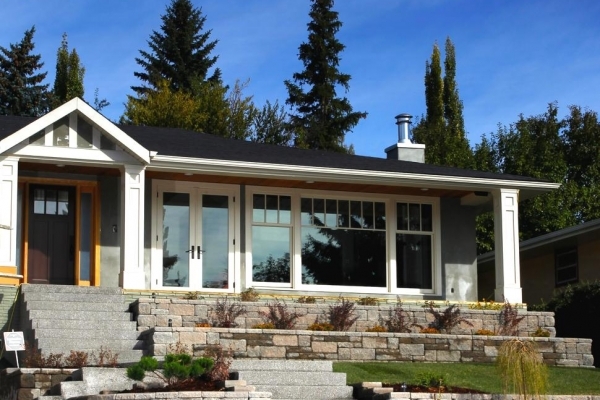 Try including some built-in bench seating and raised garden planters, or integrating an outdoor fireplace. There are many ways to design & build a space to suit your style and needs perfectly. 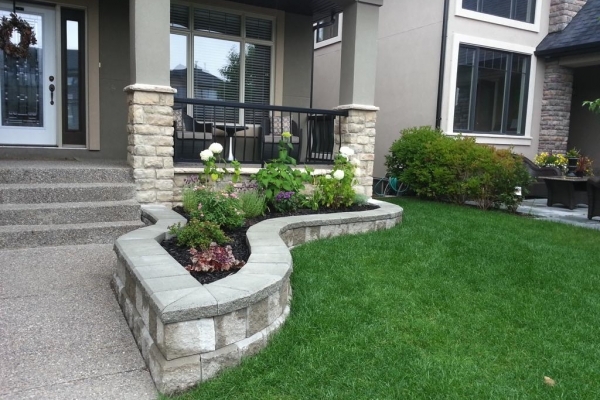 Assiniboine Lights & Landscapes takes into consideration many factors when it comes to building a retaining wall, including height, retaining function, structural integrity, drainage, the space available and the character of the property. 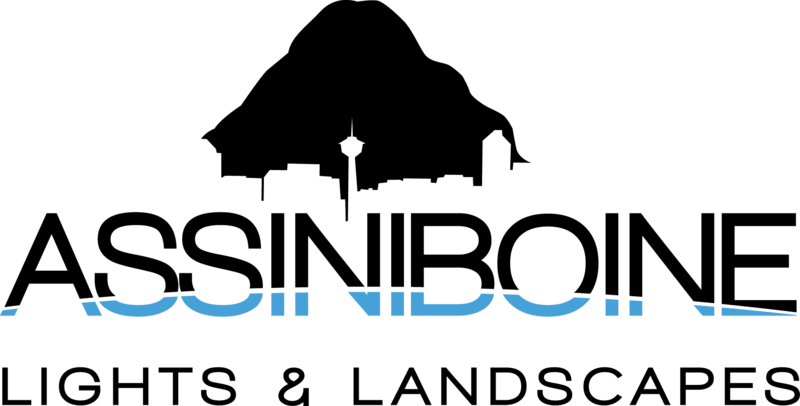 Contact us today for a complimentary consultation & free estimate!